I know, lot of work. Currently working on data federation with JBOSS Teiid as well as with Composite Software. 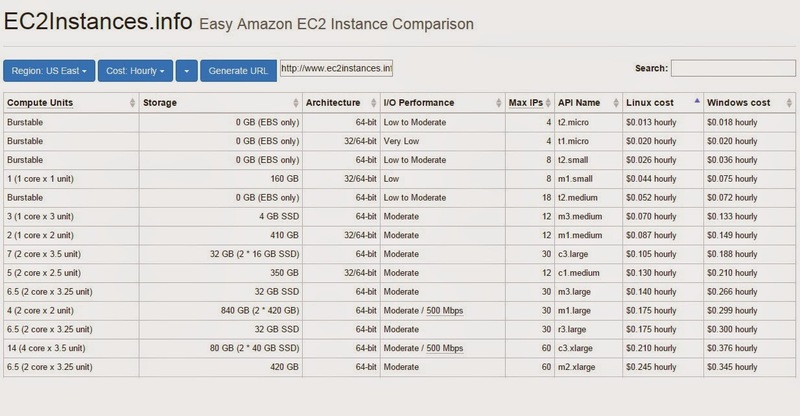 For the moment, I want to share a very handy webpage that aim at comparing AWS instance prices. You can modify your variables (location, memory, cpu etc ...) and the prices will change.